← How could this be? you know how you buy those gadgets and tools at shows and shops because they are shiny and new and look like a great idea….only to get them home and they don’t exactly get used? well, not this one!! I saw this somewhere while surfing and ordered it, seemed like a good idea. turns out, it was totally made for me! and to really seal the deal, look I’m working on an applique that needs a few colors and now I can keep them all together and safe from cats who think they are a toy. Jellie? don’t be….go here to get one for you! you deserve it! 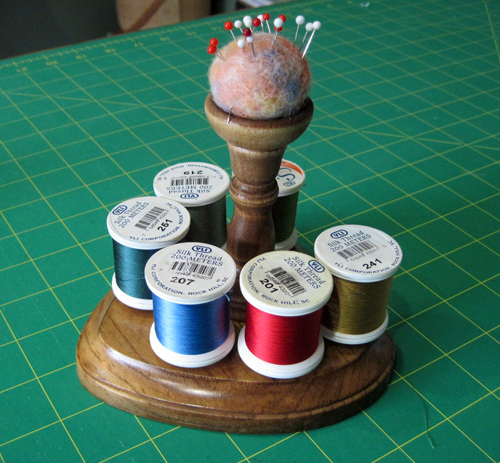 Now I can actually work on my applique project destined to be a wedding present…. 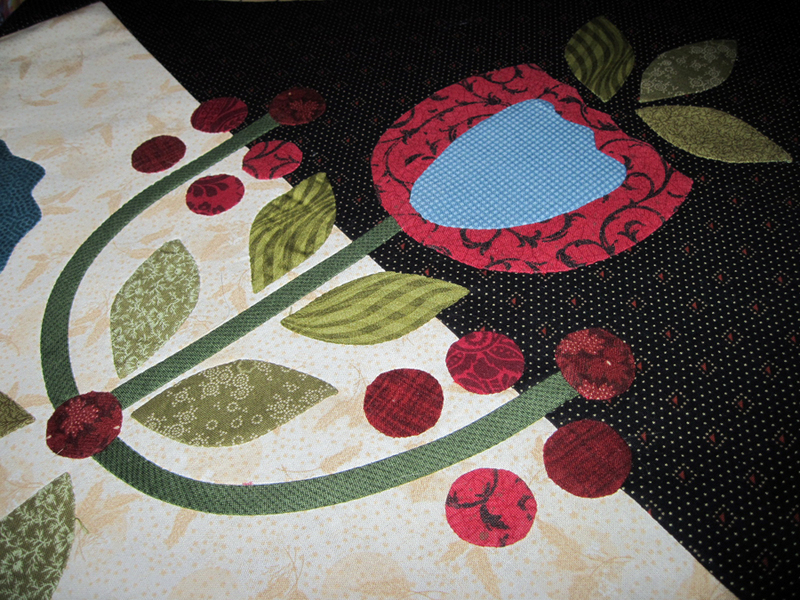 This entry was posted in Quilt in progress, Tool-mania. Bookmark the permalink.